During their village visit to families, a Canossian sister at Payakaraopeta heard someone sobbing inside a hut. After some inquiry she found Srinu, an infected patient, struggling for his breath – the entire house was filled with a foul smell. He had no one to assist in his personal needs. He was struggling immensely and in her enquires the sister understood that his wife went for some odd job to meet the needs of the family. His daughter worked in a distant house as a domestic servant and his son was aged 3. Poverty and misery filled his life. Within a few days Srinu passed away. Since then, the family has also lost their daughter who was infected and had not taken any medical care and was a victim of acute asthma. 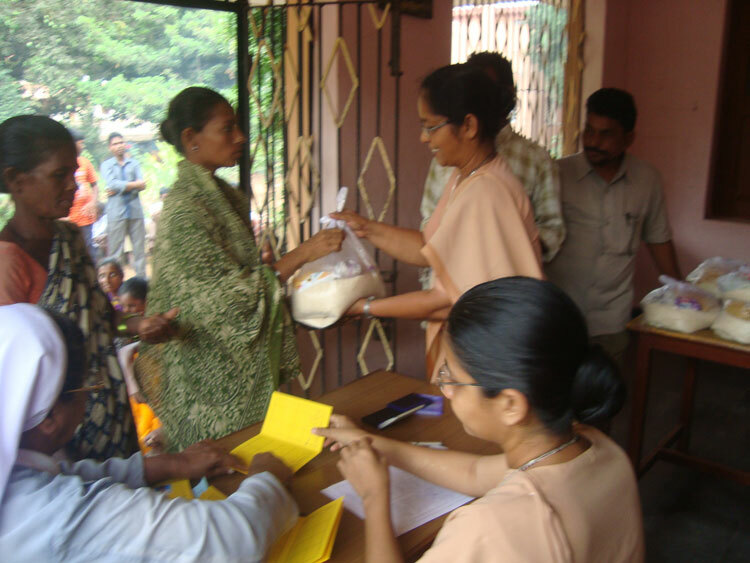 Over time the sisters have given special attention and care and assisted Srinu’ s wife with some nutritious food support to improve health of her and her son. Last year she was not able to go for any heavy work and lived by the sharing love of many including Canossian sisters who took the initiative to bring out the generous side of the neighbourhood to give a helping hand to the poor lady. It was a great comfort that from the HIV/AIDs nutritious support given to 55 families of Payakaraopeta, she secured a monthly ration to meet her sustenance. The timely assistance and gentle thoughtful care of many has helped her to recoup her health and successfully overcome the intense summer of the year which is a threat for the aged and ail ones. 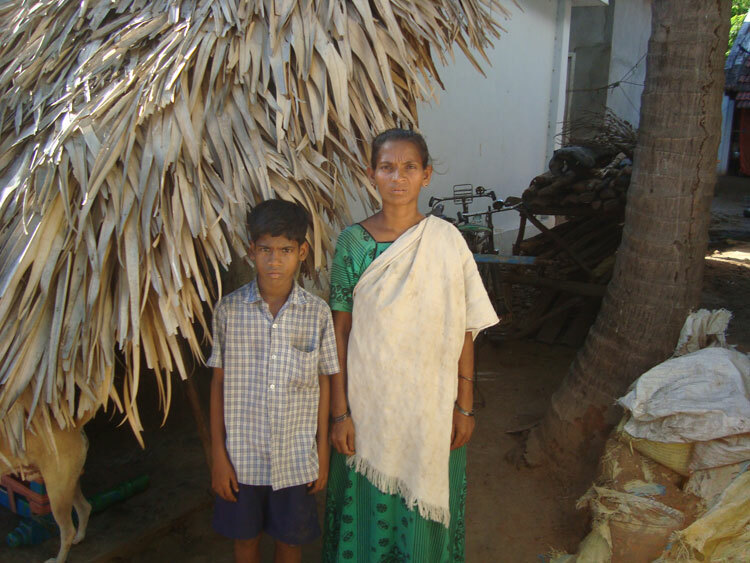 Through the Franciscan Family Apostolate, the generous heart of Cindy Foreman has sponsored this family, spreading rays of hope in the village that Sathish Kumar can enjoy his life which may not be long in the company of his mother. We cannot lengthen their life but we can contribute to make their lives little more convenient and peaceable. Joining hands with Franciscan Family Apostolate we the sisters are able to present to the villagers the compassionate active love of Jesus through our numerous hidden sponsors. Let us enkindle in our heart the joy of loving and serving the poor and become life giving people! ← Day Programs – A Reality!